Besides being a filmmaker, Fr. Gumbert is a painter and sculptor. He was born in Framingham, MA, attended Arizona State University, Graduate Theological Union in Berkeley CA, and University of Utah, where he received a masters degree in fine arts. While in graduate school, he produced two documentary films that aired on PBS: "Ritual Ways" and "Between Two Worlds." He won a Dore Schary award for human relations for one of these documentaries, "Ritual Ways." In 1994, Father Gumbert served as a Production Assistant on the set of the film "Federal Hill," where he earned the nickname "Padre to the Stars." In 2003, he created a documentary, "Saving Grace," which focused on religious persecution in the former Czechoslovakia. Though originally shown on PBS, "Saving Grace" was also shown on the Providence College campus, and several film festivals since. In 2005, Father won a Gabriel Award from the Catholic Academy for Communication Arts Professionals for this documentary. 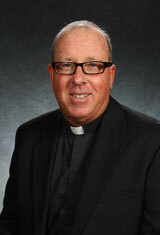 Father Gumbert has been a professor of Humanities and has taught Philosophy, Art and Film at Providence College since his arrival here in 1992. Fr. Gumbert teaches History of Film (Classic and Silent Era), The Catholic Imagination of Four American Filmmakers (John Ford, Frank Capra, Alfred Hitchcock and Martin Scorsese), Film Video Production and Women in Cinema for the women's studies program, where we explore theoretical concerns of women who make and consume films.